ANA goes Europe continues! Op 17 maart vertrekken we naar Zurich in Zwitserland om het coöperatieve wonen in al zijn facetten te onderzoeken. De stad Zurich heeft een lange traditie van Wohnungsbaugenossenschaften en slaagt erin om aantrekkelijke en betaalbare woonconcepten te ontwikkelen op lastige locaties in een woningmarkt onder hoge druk. In Zurich spreken we o.a. met Astrid Heijman, directeur Liegenschaftenverwaltung van de stad Zurich over selectieprocessen en kwaliteitssturing, met Res Keller, wohnpolitikactivist en één van de initatiefnemers van de projecten Dreieck en Kalkbreitte over projectontwikkeling van onderop, met Karin Joss van genossenschaft Mehr als Wohnen over experimentele woonconcepten in het Hunziker areal, met Dimphie Slooters, architecte, bewoner van Kalkbreitte en bestuurslid bij genossenschaft Kraftwerk1 over financieringsmodellen en de verschillende rollen in het planproces, met Urs Primas, partner bij Schneider Studer Primas architecten over hun radicale ontwerp voor Zwicky Sud en met Pascal Muller, partner bij Muller Sigrist architecten over hun ontwerpen voor Hunziker areal en Kalkbreitte. We willen meer te weten komen over collectiviteit, bijzondere woonconcepten, mix van prijsnivo’s en doelgroepen, financieringsmodellen, zeggenschap, doorstroming, tenders en selectieprocessen, ruimtelijke sturing en de voor- en nadelen van opschaling. During our research project ANA goes Europe, we investigate the role of the architect in the future European housing assignment. The trip we made this autumn led to Paris and its suburbs. The French solutions for matters such as living quality, densification, transformation of the Grand Ensembles and gentrification are instructive for the Dutch practice. Something went wrong sending our fifth and last postcard, but thanks to La Poste it finally arrived. A somewhat older couple who have lived in Les Etoiles since the beginning guides us around their house. Their children grew up in their house of hundred square meters, organized around a real roof garden. The complexity of this project, caused by this concept of stacked terraced houses with the triangle shape, does not result in impossible maps. On the contrary, the plan is convincing spacious. The older couple moved within the complex over the years. They raised their children, and now the children moved out, they still enjoy living here. A strong quality of this project is the internal quality, independent of the hectic environment of the centre of Ivry. The project expresses both the uniqueness of the individual as the complexity of the city. It connects with existing edges of the plot and with the existing streets. Sometimes the building looks high and urban and sometimes more small-scale and intimate. It also seems to better adapt to the context and use than for example Robin Hood Gardens (Alison and Peter Smithson, 1972) in London, a project from the same time. This project has not been able to withstand the test of time because of its hermetic design. Les Terrasses is another very convincing project in Ivry sur Seine from 1967, designed by Atelier de Montrouge, an architectural collective of which Jean Renaudie was part before he started is own office. These two turrets with stacked mansions in a generous collective garden were at the time built for EDF employees; Electricité de France, the largest electricity company in Europe. The structure of these slender towers is very special. On each floor there is an apartment that runs all around the core and has views and outdoor spaces on all sides. Some levels are linked to form maisonettes. Recently, the buildings have been redeveloped and renovated. Unfortunately, one tower is now divided into smaller one and two room dwellings. The other tower still has the original layout with large all-round apartments. Just as in the centre plan, the quality is guaranteed on the plot and to a limited extent depending on its environment. too, you see many new construction activities as a result of the pressure on the regional housing market. 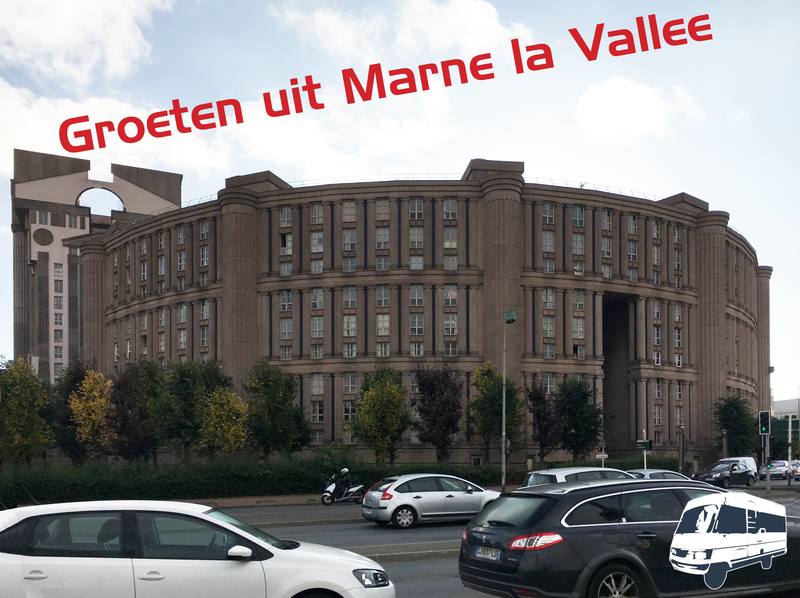 Contrary to Montreuil, which we visited earlier, the municipality of Ivry arranges this development top down. Ivry Confluence, the plan for the industrial zone, aims to strengthen the relationship with the Seine and to realize a mixed-use densification program for housing, work, facilities and commercial use. In total, approximately 5600 dwellings will be built on plots owned by different clients. A part is already realized. Unfortunately the experimental drive that characterized Ivry in the 1970’s has disappeared. The architectural quality and quality of living of these new buildings in Ivry Confluence is certainly not bad, but also not really surprising. 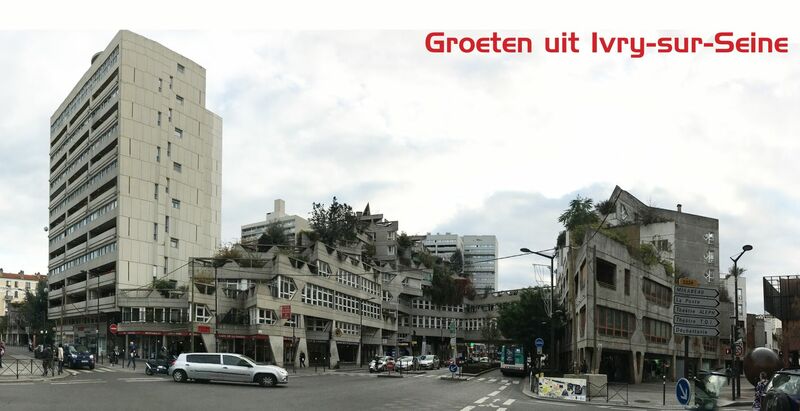 The large-scale approach to the transformation in Ivry gives the area a completely different atmosphere than Montreuil. The new developments manifest themselves as independent enclaves in the existing neighbourhood, without interaction between old and new. 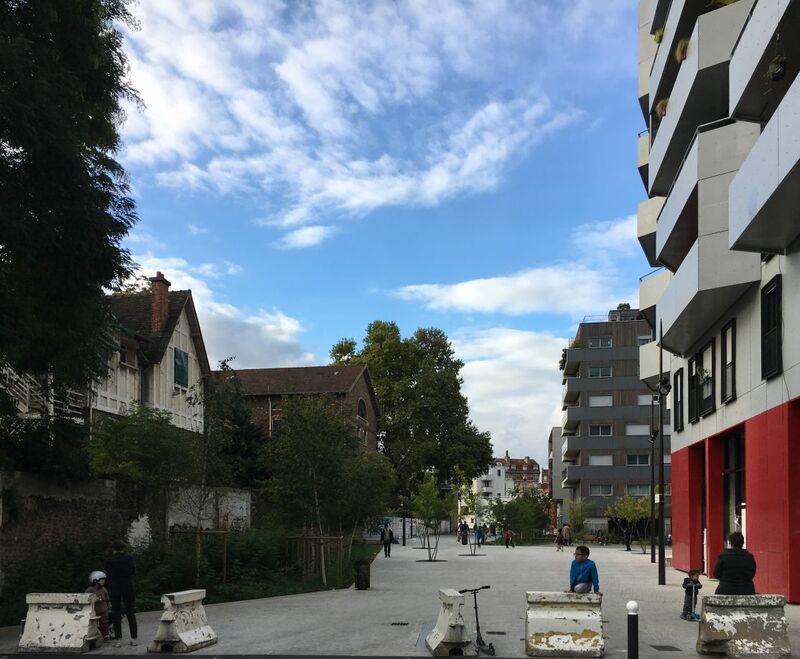 In addition to the construction of new homes, there is also a lot of attention for the public space, something that receives less attention in Montreuil, among other things due to the more fragmented, transformation of city plots. The more large-scale approach of transformation is an interesting source of inspiration for projects in Dutch cities in which large-scale industrial areas, with fragmented property, are transformed over a longer period into mixed-use residential districts, such as Amsterdam Sloterdijk 1. 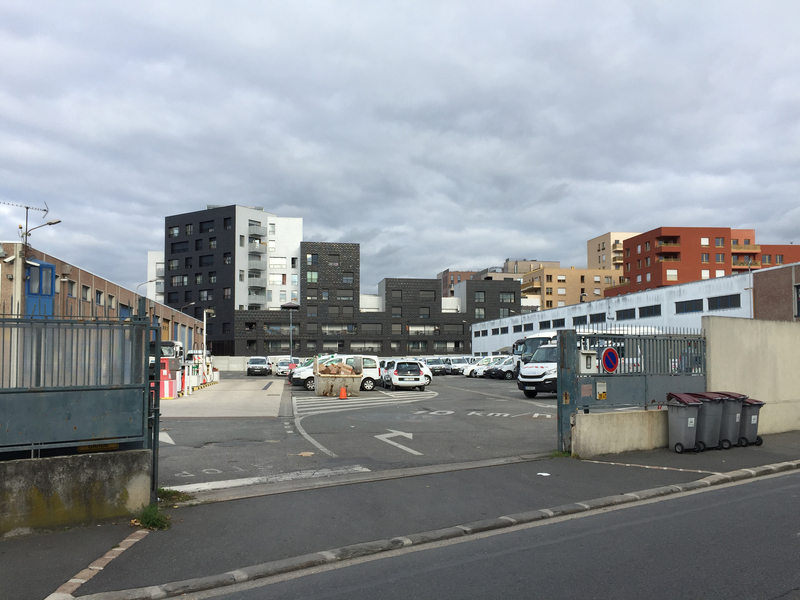 Ivry Confluence shows that attractive residential areas can arise in an industrial area, changing over a longer period of time by focusing on not to small scale clusters and paying attention to good quality public space. This does not detract from the fact that more space for the architectural experiment can contribute to a new identity in these areas, and can persuade residents to settle in an area (yet) dominated by industry. During our research project ANA goes Europe, we investigate the role of the architect in the future European housing assignment. The trip we made this autumn led to Paris and its suburbs. The French solutions for matters such as living quality, densification, transformation of the Grand Ensembles and gentrification are instructive for the Dutch practice. The fourth postcard comes from Les Espaces d’Abraxas, the illustrious housing project of Ricardo Bofill in Marne la Vallee. This project, extreme as it is, has regularly been used as a movie decor in science fiction productions such as Game of Thrones and Brasil. Les Espaces consists of three components: the Palacio, Theater and Gate. The Palacio in particular is an extreme residential building, a high, dark cavernous gap in precast concrete opens up to 441 single-sided oriented apartments. Les Espaces is in a poor condition. It is badly maintained. The public areas are dark and dirty and there is no supervision at all. We can imagine that people do not feel safe here. The project is completely isolated, on the one side it is restricted by a large parking garage and on the other by a busy access road. Because of these poor conditions it was investigated whether the project could be demolished, but this idea had been abandoned on grounds of high costs. In addition, some 600 households should be housed elsewhere. In order to improve the situation the municipality of Noisy le Grand opted for a different strategy. A continuous park strip must connect Les Espaces with the other parts of the area and bring more transparency to this densely built-up concrete neighbourhood. An advantage of the planned park is that it also connects the new residential area, planned on the other side of the ring road, with the city centre. Very good ideas, but not yet an actual solution for Les Espaces. Because Les Espaces d’Abraxas is such a characteristic project, the municipality Noisy le Grand asked the architect to think about the improvement. Ricardo Bofill (RBTA) initially was not interested. After he had met some of the proud residents of Les Espaces during a community festival organized by the municipality, he turned and accepted the assignment. It is very striking that in order to ‘finish’ the project he proposes to build up the same style on both sides of Les Espaces. However, its symmetrical design goes straight through the park planned by the municipality. It is not entirely clear how that is to be solved. Unfortunately it is unclear what Bofill’s plan is for the existing building. We will have to wait and see if he is able to redesign the building in a way that solves the various problems. The chosen approach converts one of the weaknesses of Les Espaces, the isolated location, into a force. By using the free space around the building for more varied new buildings, a larger social mix can arise in the neighbourhood. In Pavé Neuf, the adjoining neighbourhood, the renovation has already mainly been carried out. Again, the known range of interventions is visible. Just like in Monts d’Est (the neighbourhood of Les Espaces) this district is extremely impenetrable due to the layout with parking garages on the edge and a completely car-free centre. That is why some breakthroughs have now been realized. There is a high level of investment in public space. In Pavé Neuf, for example, a large new neighbourhood garden has been realized on the site of a parking garage. The buildings have also been insulated and refurbished. Pavé Neuf is already very dense, therefore it lacks space for new buildings. 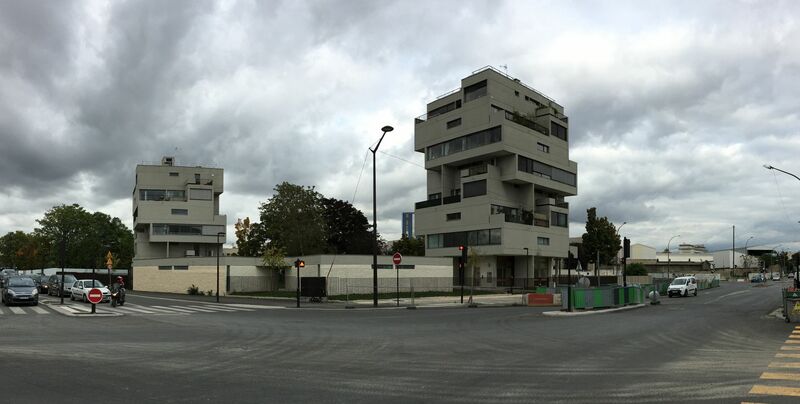 As in Bobigny, it is striking that the approach shows a great respect for the original architectural and urban plans. Everything looks refreshed, but the question is whether there is sufficient improvement in the socio-economic field. During our research project ANA goes Europe, we investigate the role of the architect in the future European housing assignment. The trip we made this autumn led to Paris and its suburbs. The French solutions for matters such as living quality, densification, transformation of the Grand Ensembles and gentrification are instructive for the Dutch practice. The third postcard comes from Montreuil, a small municipality in the eastern part of the Métropole du Grand Paris. Montreuil is very popular with the so-called Bobos (Bohemian Bourgeois) because it has a mixed character: a diversity of social classes and activity. There are many former industrial buildings that could very well be transformed into lofts. Montreuil is small-scale, almost as a village. And not unimportant in terms of the popularity of the municipality, is that the house prices in Montreuil are on average € 5,000 per m2 lower than in Paris (€ 10,000). Since 1975, the number of high educated people in Bas Montreuil, which is closest to Paris, has increased fivefold. Montreuil wants a slow gentrification, a very gradual transformation in which space is retained for the original residents and entrepreneurs, and a mix of high and low incomes is preserved. Here we visit Archi5. The partners of this firm (at least 4 of 5) live and work in Montreuil. Archi5 has realized several projects in Montreuil, most of which in collaboration with REI Habitat, a ‘young’ developer who prefers to build in wood.Archi5 and REI Habitat are focusing on small-scale interventions, in wood if possible, with a strong collective character. One of the employees of Archi5 shows us his property in the Le Bourg project. The compact dwellings strike deep into the block and lie around a spacious communal garden in which the existing trees are maintained. Besides Le Bourg, the architects and developer have realized a number of small-scale implementations in the same neighbourhood. Archi5 is now being asked more often for this type of projects because they know how things work in Montreuil, and this is necessary, because certainly not all proposals for new construction projects are approved. For each project, the municipality decides if she wants to contribute to a new development. Wood seems to push all the right buttons, as does building for special groups. Next to the office of Archi5, a residential project with social housing for single male immigrants has just been realized. The project is in line with the vision of the municipality to make Montreuil an inclusive municipality. Montreuil’s strategy of evaluating each proposal according the social significance for the municipality is perhaps somewhat unpredictable and therefore risky for developers, but it is also interesting because it allows for a slow transformation that preserves the character of Montreuil. Not making a comprehensive master plan makes it possible to only allow initiatives that add value for the neighbourhood. Such a strategy is an interesting reference for the transformation of existing industrial areas in the Netherlands such as the Hamerstraat area in Amsterdam, the Binckhorst in The Hague and the Merwe-Vierhavens in Rotterdam. However, according to the complex manager, the problems are not resolved. “La drogue, la drogue!” he calls several times during our conversation. He also refers to children who are playing in the park without parental supervision. He finds this a bad idea in this neighbourhood. He also tells us that recently new homes have been realized on the outskirts of the area, with the idea to bring more social diversity into the area. Whether the theory works out in practice, the he unfortunately could not tell. Our biased view of the northeastern suburbs being one large concentration of social housing in large-scale buildings, turned out not to be true. We continued cycling through endless low-rise neighbourhoods in search of Cité de l’Abreuvoir. This ensemble was also designed by Aillaud. In this district, with 1500 homes from the 1950s, the renovation, again financed by the ANRU, has yet to be started. The municipality has already formulated ambitions. Dialogues with the residents take place. The same problems arise here as in all large social housing complexes from the 1960s and 1970s: poor insulation, small dwellings and outdated public space. The positive thing is that not only the complex and the public space are being improved, but that public transport is linked to the area to improve the connectivity. The current residents are worried about the affordability of their homes after the renovation, and whether they can continue to live there. After all, one part will be demolished to make room for new housing to attract people from outside the neighbourhood. With mixed feelings we cycle back to Paris. The spatial approach of the Grands Ensembles focuses primarily on aesthetic renovation, not on programmatic, social or management renovation. On the one hand it is nice to see the original plans being respected. Rigorous demolition to introduce other forms of living and thus to achieve a better social mix as has happened in the Bijlmermeer and the Western Garden Cities in Amsterdam, are not to be expected here. The ensembles are left intact and reinforced in their original idea. The renovation of Cité des Courtillières has been done very well. Residents can once again be proud of their neighbourhood and finally may feel that they have been heard. On the other hand, this approach also raises questions. The houses remain small and dark, they still do not have outdoor spaces and the plinths are still anonymous. The park is beautifully designed but has a big surface that requires intensive maintenance. Will there be sufficient budget for this in the future; experience learns that this is rarely the case. It is also questionable whether this renovation enables the neighbourhood to reinforce its social economy; Is it possible to achieve a more diverse composition of residents, given the limited realization of new owner-occupied homes in relation to the large number of existing social rental homes? It is impossible to answer these questions now. For that, our visit to Bobigny is far too short, the approach was only recently implemented, and the problems of the Banlieus are far too complex. For the last years the housing market in Paris has been under enormous pressure. The average purchase price for an apartment is now € 10,000 per m2. This is unaffordable for most families. Fortunately, France has a system of social housing that is much more extensive than ours. In France they use different price levels depending on the composition of the household and income. Households with a gross income up to € 70,000 per year qualify for social housing. This system enables a diverse and larger group of people to live in the city. The social rental housing is realized by various housing associations, never the less they cannot meet the demand. As in Amsterdam there are huge waiting lists. At Paris Habitat, the largest housing association in the city, alone 180,000 people are on the waiting list. 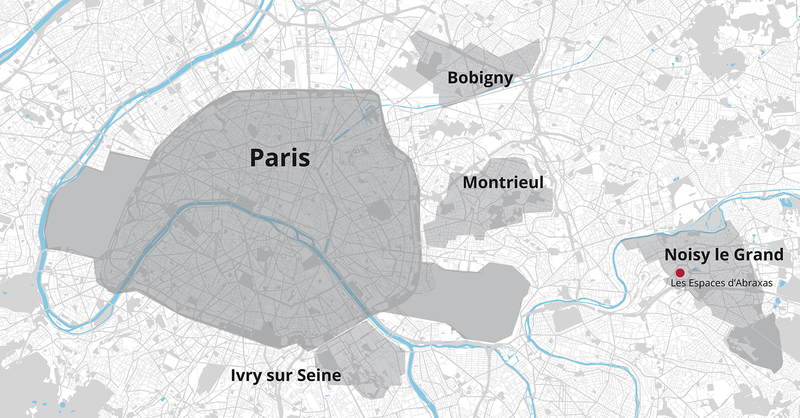 The fact that the municipality of Paris is small and surrounded by no less than 350 municipalities, each with its own management, also explains the enormous contrasts in density between inside and outside the ‘ring’. Paris would love to maintain its inhabitants and provide housing for everyone. For this reason the Métropole du Grand Paris has recently been introduced. A partnership between 131 municipalities, including Paris, with the aim of strengthening forces, combating inequalities between the various municipalities and strengthening the role of the Paris region in the world. The city of Paris wants to increase the share of social housing from 21% as it is now up to 30% in 2030. A very ambitious aim, taking into account that there are almost no building plots left and all remaining construction sites are extremely complex. At the moment a number of locations are under development, many of which lie directly next to the Boulevard Périphérique. We have spoken to Mélanie Moisain and Anna Carnac of Paris Batignolles, an organization that manages the big building projects for the city of Paris. We talked about the policy of the city of Paris regarding residential construction and about a number of recent development areas such as Clichy Batignolles, a housing project on a former railway yard. Clichy Batignolles has high ambitions: amongst others a park of no less than 10 hectares, 50% social housing, a large program of offices and facilities, moving and overhauling the shunting yard, and very high density housing. According to almost everyone we have spoken to high-rise is not an option, Paris suffers from a serious high-rise trauma since the city built a number of mega high towers in existing neighborhoods in the 1970s. The absolute high (or low) point being the Tour Montparnasse. Recently the city decided on building a bit more high-rise, but certainly not too high and very carefully fitted into the urban fabric. By selling al lot of building land, the city of Paris can finance ambitious development like Clichy Batignolles. An illustrative statement that shows all ambitions of the city of Paris is the project Home, in Masséna-Bruneseau by Comte & Vollenweider Architects and Hamonic + Masson & Associés. This hybrid ‘tower block’ consists of a block volume that follows the street alignment, defines a clear boundary between the public street and the collective courtyard, and has a public program in the plinth. On the plinth are two residential towers. The highest and most prominent tower contains social housing (€ 10-15 / m2 / month) and the lower tower contains owner-occupied apartments (€ 10,000 / m2). Although the building height of the towers is not that high, only 50 meters, compared to the proposed residential towers in the Amsterdam Sluisbuurt (125m) or in the center of Sloterdijk (90m), this project does show that it is very well possible to develop new urban typologies. Typologies that respond to the need for high densities, introduce new living qualities such as large private outdoor spaces, generate pleasant urban spaces such as well-functioning public streets and collective courts and bring about a social mix.